The VEC and the Child and Family Research Institute (CFRI) are delighted to congratulate Dr. David Scheifele on being awarded the 2015 Geoffrey L. Hammond Lectureship. This award recognizes Dr. Scheifele as a senior CFRI researcher whose career has had a significant impact on the health and well-being of children and families, and who has served as a role model and mentor to junior researchers, trainees and students. Dr. Scheifele’s outstanding achievements in the prevention of infectious diseases have led to large-scale changes in child health. The co-founder of the Vaccine Evaluation Center at BC Children’s Hospital, his research contributed to the development and licensing of new vaccines, assessments of vaccine safety, and the advancement of national and provincial public immunization programs. A passionate clinician, Dr. Scheifele has had a significant impact across the public health continuum, on individual children treated at BC Children’s Hospital, and on communities through public health policy and pandemic preparedness. Throughout his career, Dr. Scheifele’s contributions to research have garnered prestigious recognition. Career highlights include being inducted as an Officer of the Order of Canada and receiving the Queen’s Golden Jubilee Medal. Dr. Scheifele is a clinical investigator and director of the Vaccine Evaluation Center at BC Children’s Hospital and a professor in the UBC Department of Pediatrics. He is also data centre supervisor for ‘IMPACT’, an immunization monitoring program involving 12 pediatric centres across Canada. The Geoffrey L. Hammond Lectureship pays tribute to the contributions of Dr. Hammond who, from 2003 – 2012, served first as CFRI’s scientific director and then as deputy director. 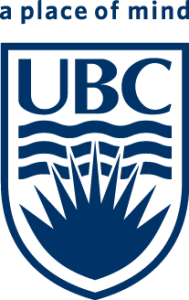 He is presently the head of the UBC Department of Cellular and Physiological Sciences. Previous Previous post: Congratulations to Arlene Kallos, Recipient of the Applegarth Staff Service Award!